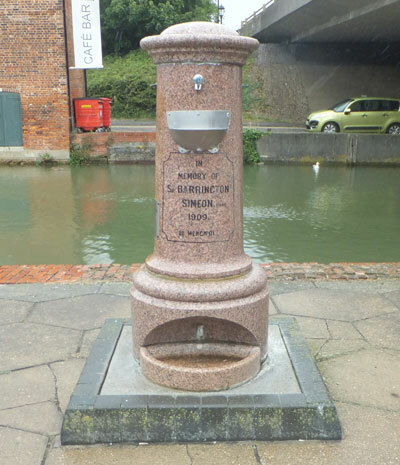 A drinking fountain with dog drinking bowl was erected in memory of Sir Barrington Simeon, Bart. 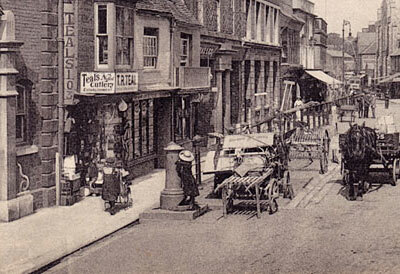 who died 1909, it was originally positioned in St James Square, Newport. Due to changes to the carriageway, it was moved in the 1980's to the east quay of Newport harbour where it fell into disrepair. In 2012, Newport Parish Council had the fountain refurbished and re-positioned on the east quay, as shown in the upper image.